First and foremost, I would like to take this opportunity to extend my wishes to all members of MPM, as we crossed over to another great year of 2017. Time flew by sparingly, where we can vividly recalled the historical date 11th May 2016, when MPM was officially registered as a national organization that focused on the professionalism of maritime pilotage in Malaysia. MPM, by the notion as a professional organization has important role to play, to put on assertion, the safety of pilotage and navigation in all port in Malaysia. As much as other developed countries like Japan, Singapore, Australia, New Zealand, America and most European countries, that perceived the importance of maritime pilotage that not only weighted interest to the safety of ships and cargoes, but obviously not neglecting the environmental protection, we in Malaysia should pursue in the same, as Malaysia is working towards a developed country too. However, such implication on the important function of pilotage was not meted well enough along the various national agendas by the government and its local port authorities, in the promotion of ports efficiency and performance of the shipping industry locally. Could it be the limited exposures of the profession itself or there isn’t any intuition and initiative by parties in the port and shipping industry to recognise officially, the important roles of maritime pilots? Or perhaps there weren’t any representation from the fraternity of maritime pilots? As the President and Chairman of Maritime Pilots Malaysia, together with all elected Executive Councillors of MPM as well as our advisors, I am obliged to elevate and promote this noble profession to a higher level, especially in the maritime shipping industry from time to time. It is very crucial for us in MPM to ensure the maritime industry recognise the importance of maritime pilots; pilots’ contribution to the industry because, that will be a good reason for all maritime stake holders to consult MPM, on any matters related to pilotage, safety of ships and its cargoes, port and terminal performance and efficiency, port development or even regional shipping competition. When parties in the shipping industry consult our organisation on these matters, it gave us the opportunity to contribute positive and highlight any shortcomings that can affect our pilotage task in any respective ports. I would like to urge all MPM members who read this New Year 2017 note, to assist MPM in promoting the profession by exhibit your pilotage professionalism at all times, paying due regards to the safety of ship you pilot, others ships and crafts transiting the same waterways, as well as the safety of cargoes and assets within the port in Malaysia. Not to forget you are considered as the ambassador of Malaysia onboard each ship. Your thrive in achieving a balance between assertion of instruction to the master and crew and warm hospitality can be translated to exhibition of your professionalism as a maritime pilot. At this point of time, I am glad to share that through the adoption of Strategic and Partnership Program (SCP), MPM fostered amazingly great relationships with the MOT, Marine Department of Malaysia, Local Port Authorities, terminal operators, and other maritime stake holders as well. MPM will continue to identify and establish new working relationship with other maritime related organisation along its path. Through these good working relationships with the members of SCP, MPM has been recognised and given the opportunity to contribute its role and representation in the maritime industry. In relation to the various incidents that affected and had threaten the safety of our members in Penang, Port Klang and Bintulu port, MPM viewed such incidents seriously. Mitigation works has been initiated involving the Port State Control Agency and Marine Department Malaysia to rectify any shortcomings and negligence that caused the mishaps. All members are advised to observed and exercise precaution during embarkation or disembarkation to and from any ships you piloted. 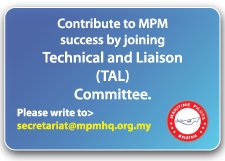 Lastly, I would like to encourage all distinguished MPM members to find time and follow-up on any development affecting our organisation. Do participate and channel your valuable thoughts to us via email at anytime. Your contribution in any means and form that are important to our organisation is mostly appreciated. Firstly, I would like to extend my heartfelt congratulatory note to the fraternity of Maritime Pilots in Malaysia, as on the 11th May 2016, for the first time in history, an organisation with the name "Maritime Pilots Malaysia, MPM" or in Bahasa Malaysia "Ikthisas Malim Maritim Malaysia" was successfully approved and registered with the Registrar of Society Malaysia. It was indeed a distinguishment, as MPM is established as a national level organisation that will function to represent the interest of maritime pilots' professionalism; both locally and internationally. It was the hardwork of the Sponsoring Committees who had fought relentless time that outlined the "Step-by-Step" processes of a successful establishment of MPM without much difficulty. Many pilots representatives came from various states in Malaysia during the formation meeting. All agreed and viewed the importance to establish Maritime Pilots Malaysia, MPM. Yes! we finally made it through! The support from the Maritime Pilots was amazingly great that saw many potential members applied to be a Professional Member. If you belongs to the fraternity of this profession, please don't procrastinate but send us your application immediately. 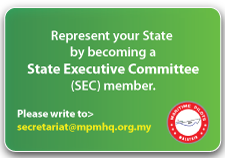 Please contact and liaise with your Head of State Committe member or any Executive Council members most convenient to you! The organisation is now functioning, and ready to serve its members interest. In order for the organisation to move in the right direction in accordance to its objectives as stipulated in the constitution, MPM's Executive Council will convene for the first time on the 31st May 2016. The details of the minutes of the meeting shall be made assessible to MPM's members only. 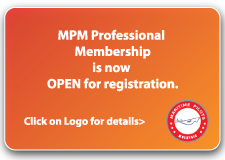 As a member of MPM, it is important for you to peruse the minutes of every meeting. Through this minutes you will able to find out what are the programs outlined, progress level of any project undertaken and what are the development agendas installed for the best interest of Maritime Pilot profession and indirectly, yourself in person. With all these information and updates, you as a member, are encourage to respond to any matters that is a concern to you by correspondence with any of our Executive Council members. This "check and balance" methodology will ensure that our organisation function the way it should be. At this initial stage, the foundation of MPM has to be strengthen with pillars of network with the port authorities, port operators, Marine Department of Malaysia and Ministry of Transport. Through this means, it assures our collaboration and co-operation with these important organisations will achieve remarkable result. Lastly, please continue to support us to make this organisation a great success in its progression. I would like to take this opportunity to extend an invitation to all licensed and competent Maritime Pilots in Malaysia to be one of the distinguished MPM's Professional member. Please REGISTER ONLINE, at this instant to be part of our fraternity. Thank you and looking forward to your membership!